It is an unfortunate fact of life of so many successful businesses that disputes over a broad range of areas. Edward F. Schrager and Art Baxter have decades of experience both working together and individually in representing businesses and individuals who are either executives or employees over a complex scope of legal issues. 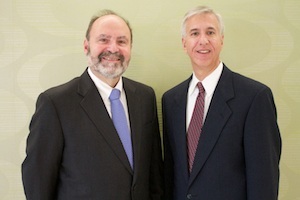 Over the years, both Mr. Baxter and Mr. Schrager, have represented businesses who are embroiled in legal disputes involving covenants not to compete, restrictive covenants, trade secrets violations, breach of fiduciary duties, shareholder suits, general breach of contract matters as well employment disputes, and related issues. BRS is also well connected to law firms in Washington D.C. who have years of experience representing businesses who have disputes with various Federal regulatory agencies including, but not limited to the FDA, FCC and others. The attorneys at Baxter Rose & Schrager have decades of combined experience representing companies and individuals in legal dispute issues. Please review the personal biographies of Mr. Baxter and Mr. Schrager to read in more detail about their representative cases.